It’s only 6 weeks away from the start of ‘summer’ and 2017 is already shaping up to be the biggest in Ibiza’s relatively short hedonistic history. If you haven’t done so already, here’s 10 REASONS why you should start planning your Ibiza trip today. 1. COXY’S BACK: Forget his long drawn out, tearful exit from the club formerly known as Space, when one of the biggest names in electronic music announces a couple of ‘gigs’ at the worlds biggest club on the worlds biggest party island then you have to sit up and take notice. Expect a festival atmosphere and one of the worlds biggest parties under a hot tin roof. That’s a lot of ‘worlds biggests’ btw! 2. HÏ IBIZA OPENING: The King is dead, long live the King! Space Ibiza has gone (for now) and we all need to move on and there’s a new kid in town. There’s no denying what Ushuaia has bought to the island so a new super club backed up with their deep pockets could be another game changer. Watch this space (pun intended). 3. DEFECTED AT EDEN, SAN ANTONIO: The recent announcement has many foaming at the mouth of what should be a natural fit and something that San An has been waiting for: a big club night in a big club. Sunday will be the new Saturday on the west coast as Defected do their funky thing at the newly kitted out Eden with pre-parties galore. If you haven’t been then go, you will be surprised. 4. CRAIG DAVID AT IBIZA ROCKS: With a comeback only bettered by Lazarus (and possibly David Beckham) the cheesy 90s hipster is now a fully fledged world star and is back on the island at Ibiza Rocks Hotel for his weekly TS5 Pool Party, this time on a Thursday running from 20 July until 21 September. If you haven’t seen him perform then you haven’t seen anything so prepare to start worshipping at the church of David. 5. DAY IS THE NEW NIGHT: The relentless shift towards daytime partIes shows no signs of wavering and there’s plenty of choice for some fun in the sun. Ushuaia and Ocean Beach will continue to dominate their respective areas but expect a few upstarts to begin to make ground. Sintillate’s move at Nikki Beach is one to watch out for and should be great fun and as Craig David and Tinie Tempah have proven there’s always a breakout pool party every summer. 6. IMS10: Hard to believe that it’s 10 years since Messrs Whittle, Turner & Tong started the International Music Summit with the simple objective of bringing all the music industry’s main players under 1 ‘roof’ for a few days of networking and partying. Fast forward 10 years and it’s now one of the most important dates in the industry calendar plus the D’alt Villa party is arguably THE island party of the year with its breathtaking backdrop, it doesn’t get anymore Ibiza than this. 7. FLIGHTS, FLIGHTS AND MORE FLIGHTS! : One of the positives of everyone wanting a piece of the Ibiza pie is the proliferation of flight availability in and out of the island. Ryanair and EasyJet have more flights than ever and BA has announced a major expansion of routes into the island. Check websites for surprisingly cheap deals especially in the low and shoulder months when the White Isle is at its best. 8. NATURAL BEAUTY: I’ve said it before and I will say it again but whilst other destinations flatter to deceive (Dubai, Las Vegas anyone?) Ibiza and its sister island Formentera have some of the best beaches and sunsets in the WORLD coupled with some of the best beach and sunset bars in the world. And that, quite simply ladies and gentlemen, is the difference. 9. QUALITY HOTELS AND VILLAS: Not just the obvious ones such as El Hotel, Hard Rock, Ibiza Gran and Ushuaia but also think Es Vive, Beach Star, Atzaro and Bellamar. Not big nameless corporations but quality boutique hotels and villas run by Ibiza people. More and more are popping up every year and although prices can be reassuringly expensive in the peak season check their special offers during quiet times for a 5 star experience at 2 star money. 10. 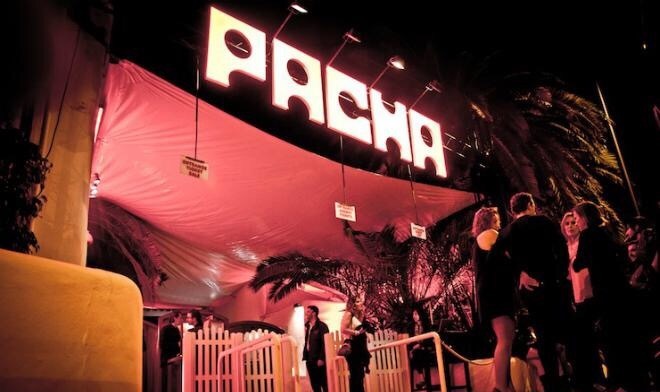 ALL CHANGE AT PACHA GROUP: The purists aren’t happy but now that it’s changed hands a major investment has been promised plus an expansion of this world famous brand. Other places may be classed as more of a wow nowadays but Pacha is where it all began and gives the island its cool gravitas. Cabaret/restaurant/club Lío is still an island benchmark (those prices though!) and Destino is now fulfilling its promise but all eyes will be on the iconic club to see if there are any major changes. SUMMER 2017 – WE CAN’T WAIT! It’s not telling us anything we didn’t know already but a new study presented to the Island Government has ‘revealed’ that Ibiza’s nightlife “differentiates” the island from other similar tourist destinations. So whilst Costa del Sol has its golf courses, Benidorm has its value for money hotels and bars, Menorca has it’s natural beauty, Ibiza is famous the world over for it’s nocturnal pursuits which brings with it positives and negatives. The new study entitled ‘The Pro’s and Cons of Leisure Tourism in Ibiza’ was presented by Josep Ramon of Ibiza’s University of Tourism and highlighted the positive impact that the nightlife sector brings to the island such as an ‘increased local economic resilience’ during the recent crisis and that without it Ibiza would be “a fairly common tourist product”. The study goes on to say that “if Ibiza stopped being a world reference in nightclubs, even if it maintained a nightlife offer equivalent to that of other destinations, it would lose its economic advantages” concluding that “it does not seem sensible to hamper a sector in which Ibiza is a leader”. Companies in the night time entertainment sector invoice more than 400 million euros per year and employ around 8000 people. The study emphasises that this sector increases demand, prices and revenues for businesses on the island and that the type of clubbing tourist who visits Ibiza “can have a very high expenditure per person” whilst the companies dedicated to this sector generate a lot of interest on social media, giving popularity to the island as a holiday destination. It wasn’t all good news though as the study also points out the disadvantages that comes with this type of tourism saying that if it doesn’t reduce these elements then it will decay and have a negative effect on the islands economy. The report describes these as noise pollution that prevents the sleep of residents, traffic jams, parking problems, lack of public transport and customers who continue the party in the street. Sr Ramon acknowledged that finding a balance is difficult but said it is possible with greater control. The study admits that the nightlife sector is “a controversial activity” and points to two other obstacles to making it sustainable: the disagreements between the different entrepreneurs in the sector and the disparity of positions of the public administrations when it comes to taking measurements. Ibiza’s director of tourism Vicente Torres ‘Benet’ said that the conclusions of these reports made you think and that they must always be taken into account. The build up to the summer is well on the way with plenty of Ibiza rumours however the respected music and clubbing brand ‘Defected’ has announced that it will run a weekly residency on Sundays at Eden in San Antonio kicking off on 21 May 2017. It’s a much needed boost for San An which has seen its 2 big clubs struggle over the last few years with competition on the island at an all time high with world class DJs playing most nights in all the big venues. Eden changed ownership in 2015 and club principle Rinco Soesman and music director Dermot Condon have been steadily chipping away at raising the clubs credibility which is now bringing rich rewards. Defected will bring fresh impetus to the towns clubbing map, San Antonio is viewed by many as the entry point for many music minded young Brits and Defected owner Simon Dunmore will be hoping to capitalise on having a big night right on their doorstep. Defected have a little history with Eden when they moved their opening party there in 2013 due to issues at the short lived Booom nightclub. On paper this looks good for Defected, good for Eden and good for San An. 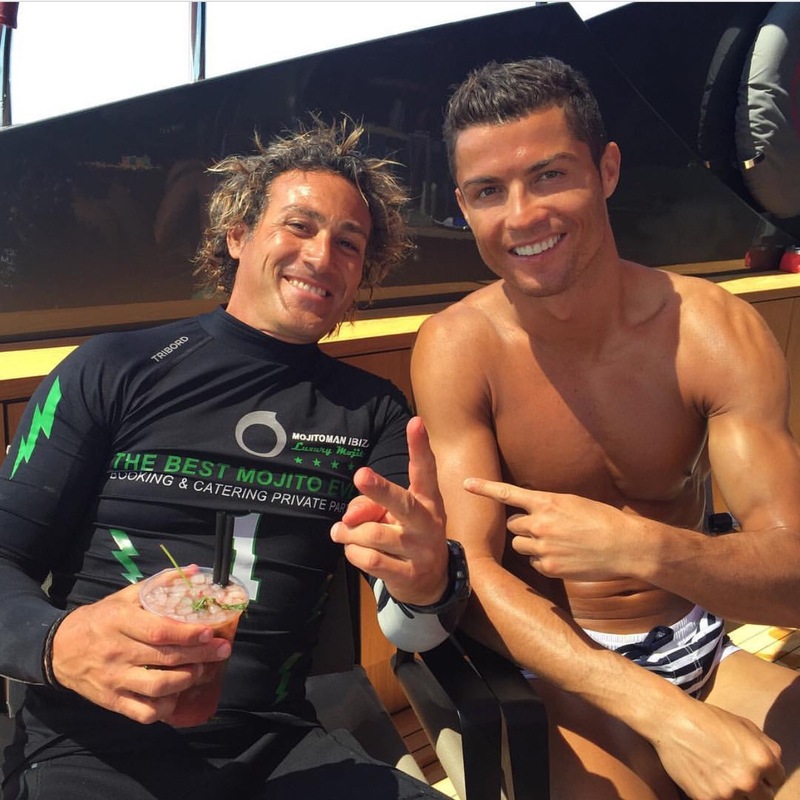 Author Martin MakepeacePosted on February 2, 2017 February 2, 2017 Categories Local NewsLeave a comment on CR7 to Open Ibiza Hotels?